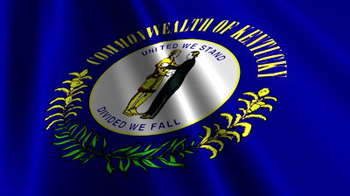 FRANKFORT, Ky. (January 16, 2019) – The Department for Local Government (DLG) has announced a $1,000,000 Community Development Block Grant (CDBG) to the City of La Center. The federal funds will allow the city to clean and rehabilitate more than 33,000 linear feet of waterlines, as well as perform miscellaneous work at its wastewater treatment plant. The project is expected to remedy two issues with the city’s wastewater system. First, the wastewater treatment system is under Agreed Order with the Kentucky Division of Water for exceeding permit limits for biochemical oxygen demand, total suspended solids, ammonia nitrogen and E. coli. Second, the city’s gravity pipes have deteriorated over time, contributing to excessive inflow and infiltration into the system. The CDBG program, overseen by the U.S. Department of Housing and Urban Development, provides assistance to communities for use in revitalizing neighborhoods, expanding affordable housing and economic opportunities, providing infrastructure and/or improving community facilities and services. Funds are administered by DLG, an arm of the Office of the Governor dedicated to supporting local officials and communities. To learn more about CDBG and other grant opportunities available through DLG, visit dlg.ky.gov.